What are the environmental benefits of a solar power plant for any community? ~2,500,000 pounds of atmospheric carbon annually eliminated. The equivalent of ~129,000 gallons of gasoline eliminated. The equivalent of ~150 passenger vehicles removed from our streets. The equivalent of ~18,000 light bulbs eliminated per year. Over the life of the solar facility solar facilities sequesters a minimum of 10X times the amount of carbon than trees. Planting of pollinator friendly groundcover – creates new habitats for bees, birds, small mammals, and other wildlife. Are there any other non-environmental benefits of bringing solar power plants to any community? Yes! At TurningPoint Energy, we pride ourselves in providing what we call triple bottom line impact on every project. That means there is are positive environmental outcomes, financial outcomes and community outcomes. The cost of solar power has come down such that it now competes with brown power sources and can provide even more attractive cost of energy to our utility, commercial and residential customers. Additionally, the vast majority of our solar projects pay various forms of sales and property taxes which benefits local communities. Finally, solar power projects mean jobs. See the next question and answer for details. When TurningPoint Energy was created, its founder promised to give back to each community our team developed projects in successfully. From donating unused portions of land to neighboring schools and towns to funding solar education for school districts to bringing in investment and construction partners that have collectively funded more than $120,000 on certain projects, TurningPoint Energy aims to make a positive difference in our communities. Here are just a few of TurningPoint Energy’s philanthropic efforts and more details on our approach. Do solar projects create local jobs? Yes. Depending upon the size of an individual project, we estimate a given project will include 75-125 planning, development, design, and construction jobs from the early stages of the project until it is commercially operational. TurningPoint Energy prides itself on working with solar facility contractors that stress the importance of utilizing a local labor pool. 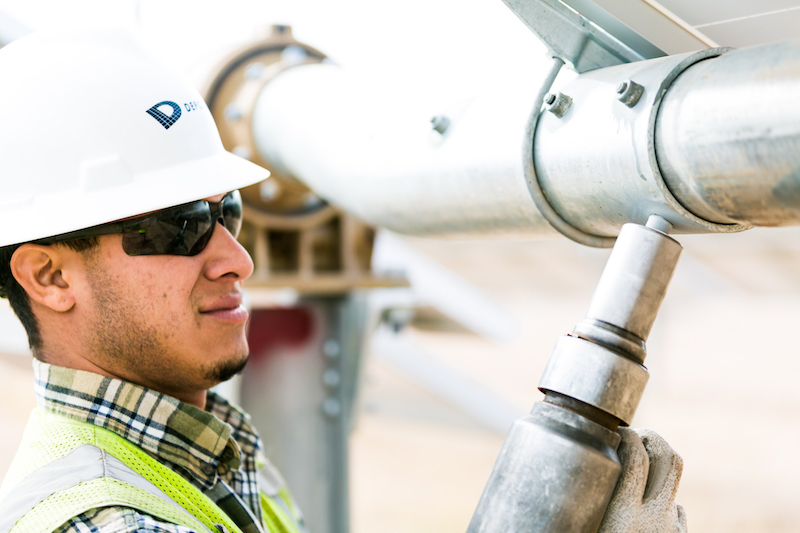 For example, a TurningPoint Energy project in Bosque County, Texas that completed construction in December 2017 is an ideal example of this point. While contractors on many large-scale projects along these lines bring their crews from around the country, the contractor on this facility held a number of job fairs locally and was able to secure in excess of eighty-five (85%) local labor content. Depending upon the locally-available pool of skilled and unskilled tradesmen, we expect a similar outcome for our other proposed solar facilities. How are sites selected for solar projects? TurningPoint Energy team members go through an in-depth screening process before identifying locations that are an ideal fit for a solar project. In all cases, sites that are already cleared or are brownfields or the like are prioritized over so-called “greenfield” sites. But depending upon the location and type of solar project being proposed, there are some differences in siting criteria. Typically for smaller ground-mounted projects that will interconnect to the electrical distribution grid (i.e., distributed generation or community solar projects), a site must be no more than two miles distant from an electrical substation that has a reasonable amount of available capacity. Unfortunately, this single criterion immediately eliminates most areas from potential consideration. Then within that two-mile radius, a developer must locate potential sites which pass a screening of a large number of additional specific criteria: topography, geologic conditions, threatened/endangered species, hazardous materials, distance from roadways/existing distribution lines, zoning/permitting considerations, and land values, to name just a few. After all of this screening has taken place, a developer must locate a property owner willing to engage and must then be able to successfully negotiate mutually-agreeable terms with the property owner. In many cases it can take months, or even well over a year, to arrive at this point, and this is before any engineering, utility interconnection, or permitting activities begin to take place. For larger, utility-scale projects that will interconnect at the transmission level, most of these same criteria exist. However, these types of projects are generally sited in more rural and remote parts of the country and can be sited considerably further from target substations. “Line taps” into existing transmission lines are common. Our team works exceedingly hard to site good projects in good locations in good communities. Removing trees does not seem to be “green”. How is this an environmentally sound approach to reducing greenhouse gas emissions? Our planet needs trees. We work to conserve as many natural spaces as possible and have dedicated our business to developing solar projects that maximize carbon reduction in power plant electricity generation. There have been multiple occasions when our team has worked around existing trees and environmental areas to protect them, while still successfully developing a solar project. However, there are times when trees must simply be removed (see site selection-related information above). Fortunately, solar panels are far more effective at reducing/sequestering atmospheric carbon than are trees. A solar system has at least a 35-year useful life and will produce the equivalent to 20-30 times the amount of carbon free energy compared to the amount of trees removed. For instance, if there is solar system that would require 14,000 trees to be removed, the carbon offset is equivalent to 450,000 trees planted. In addition, in those regions of the country in which the local climate could support it, our projects feature pollinator-friendly ground cover planted under the solar panels, which creates a new habitat attractive to bees, birds, small mammals, insects and other wildlife. Are there contamination risks with solar panels? Some specific types of panels, known as thin film panels, may contain cadmium telluride or gallium arsenide, which can be hazardous if the panels should somehow break. However, TurningPoint Energy does not utilize this technology in our projects. We always specify poly- or monocrystalline silicon solar panels, which do not contain harmful chemicals or gasses. These panels are comprised mainly of silicon, aluminum, and glass. They are solid-state materials, so in the case of panel breakage, there is no risk of “leakage” of fluids or gasses. Will there be UV radiation generated by the array? Heat? In a TurningPoint Energy solar project, the solar panels are typically mounted using a tracking mounting system, face east – west and would rotate as the sun moves. Occasionally, a project may be developed using a fixed-tilt system in which the panels are fixed facing south. In either case, solar is designed to absorb the sun’s rays, not reflect them. Solar does not emit anything, and it absorbs heat. Will the panels cause glare that would reflect on nearby public roads and housing? No – solar is designed to absorb the sun’s rays, not reflect them. This fact is reflected (no pun intended!) 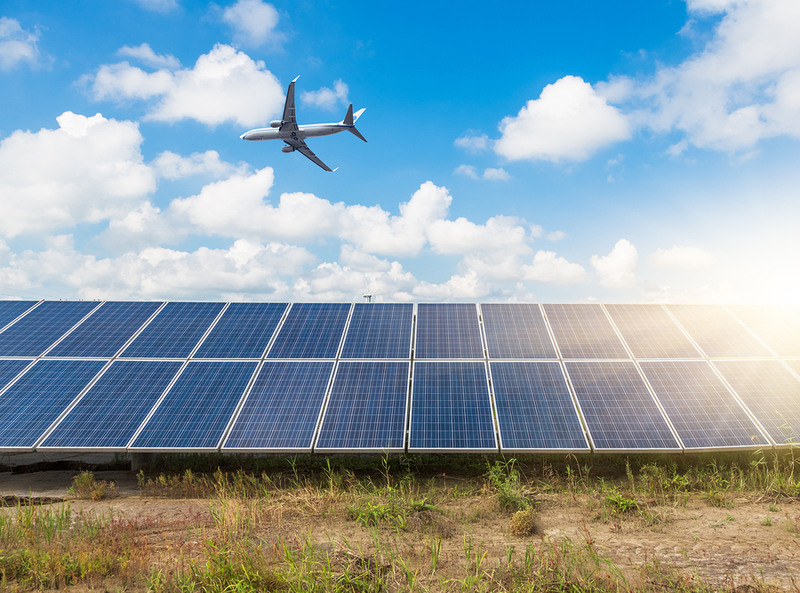 in the large number of solar facilities currently installed and operational at airports and Air Force bases across the country. Are solar projects appropriate for residential zoning districts? Impact/nuisance: Lowest amount of impact to the fewest number of residents or commercial users, as compared to siting in much higher density/use zone districts. Tax base/jobs: Restricting these facilities to only commercial/industrial zone districts erodes a community’s potential tax and job base. In our experience, communities typically prefer to see commercially/industrially-zoned land used for denser commercial development which generates significantly higher tax dollars and long-term jobs per acre. On the other hand, low-density residential zones generate the lowest tax and job bases per acre of any zone districts in communities; solar offers significant improvements to both over prior/alternative uses. How do solar projects impact nearby property values? Traffic. Solar facilities are not traffic generators. On the other hand, the Institute of Transportation Engineers provides that one single family home, on average, generates 9.5 vehicle trips per day. A solar facility, once operational, would generate significantly less traffic than a single home. Odor. Solar facilities do not produce odor. Noise. Solar facilities produce no discernible noise. Although the inverters generate a sound that might be described as a soft hum, with properly functioning inverters this sound is inaudible from the facility boundary. Environmental. Solar facilities do not produce toxic or hazardous waste or contain hazardous materials or substances. Light. Lighting will be limited as needed or required by code for safety, potentially at the site entrance or by inverter pads, typically none at all. All lighting, where required, will comply with a permitting authority’s standards and will not pollute surrounding areas. Will pesticides be used to keep vegetation down around the solar panels and mold off of panels? As part of our solar projects, where possible, we plant pollinator-friendly grasses and clover underneath the solar panels to create a robust new habitat for bees, birds, insects, small mammals and other wildlife. This ground cover will be low-growing and require little maintenance. No pesticides will be used or needed and there will be only very occasional mowing/trimming on the site. As for cleaning of the panels, in many areas in the country there is enough precipitation that panels will need to cleaned very infrequently, if at all. When/if they are cleaned, it will be done only with distilled/purified water, which leaves zero residue. Our solar projects will not create any contamination to the water or land, unlike residential or other forms of development, which adds the risk of contamination from new/additional septic systems, lawn pesticides, and the like. Will installing a solar project hurt local well water? The solar panels are above ground and the only thing that pierces the earth are poles that will be affixed to the mounting equipment then to the panels, as well as underground conduit for electrical connections. We grade out areas required, remove rock (where necessary) with bulldozers and related equipment or design around any rock formations that will not allow for practical grading. This work does not create any contamination to the water or land, unlike residential or commercial development which adds the risk of contamination from new/additional septic systems, lawn pesticides, gas and oil runoff from surface streets, and the like. What impact, if any, does a solar project have on safety of residents, children, and the environment? We take safety very seriously. Our projects include a six-to eight-foot fence surrounding the solar arrays. Gates are always locked. Additionally, the projects feature construction safety plans as well as operations and maintenance safety plans. For emergency and maintenance vehicles, continuous gravel access roads along with emergency procedure signage are installed throughout our project sites. KNOX-BOX locks are installed on entrance gates. 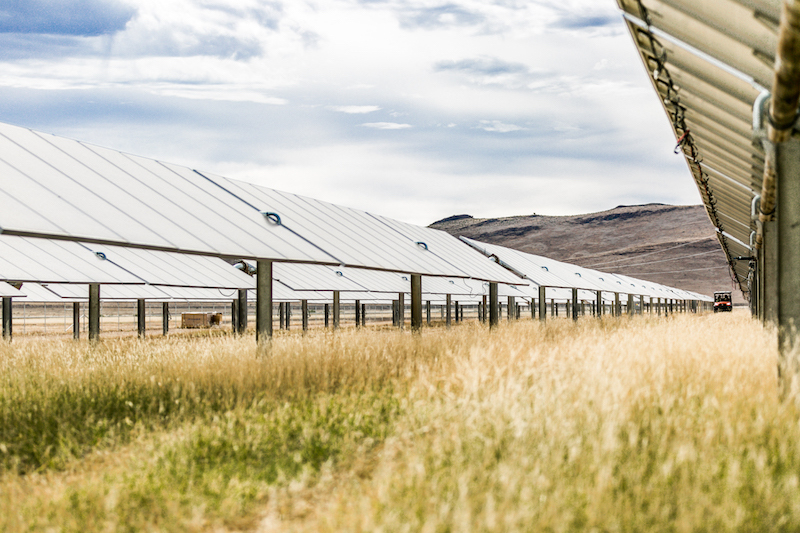 What happens at the end of a solar project’s life, during the decommissioning stage? At the end of a solar project’s working life, expected to be at least 35 years, the land will be restored to its original state. TurningPoint Energy project financials includes for decommissioning of panels and the entire solar power system at end of life. The solar facility is disconnected from the utility power grid. Photovoltaic panels are disconnected, collected, and either shipped to another project, salvaged, or submitted to a collection or recycling program. Electrical interconnection and distribution cables are removed and recycled off-site by an approved recycling facility. Photovoltaic panel support H‐beams and aluminum racking are removed and recycled off‐site by an approved metals recycler. Electrical and electronic devices, including transformers and inverters are removed and recycled off‐site by an approved recycler. Concrete piles used for the inverter blocks are removed and recycled off‐site by a concrete recycler. Fencing is removed and recycled off‐site by an approved recycler. Any interior project roads, typically constructed of 4” aggregate base, can either remain onsite should the landowner choose to retain them, or be removed and the gravel repurposed either on‐or off‐site. The Project site may be converted to its original condition including revegetation, or to other land uses in accordance with applicable land use regulations in effect at that time of decommissioning. There are no permanent changes to the site.